PADI’s open water diver manual is designed so that you can learn the academics at your own pace when it is convenient for you. Broken down into 5 chapters that cover all of the theory you’ll need to know, each chapter has a knowledge review to prepare you for your final exam. In the PADI Open Water Diver course, you learn to use basic scuba gear, including a mask, snorkel, fins, regulator, buoyancy control device and a tank. At the end of your course you will be able to assemble and disassemble your scuba equipment properly and learn the importance of familiarizing yourself with the type of equipment you’ll be using. Once fitted and familiarized with your equipment, your instructor will assist you into the pool where you’ll get hands on training and practicing skills such as equalizing, clearing your mask, sharing air and much more. After you’ve become comfortable in the pool and performing your dive skills, get ready to experience everything you’ve learned with the freedom of open water. Experience the reefs of Belize while you learn to scuba dive over four open water dives. 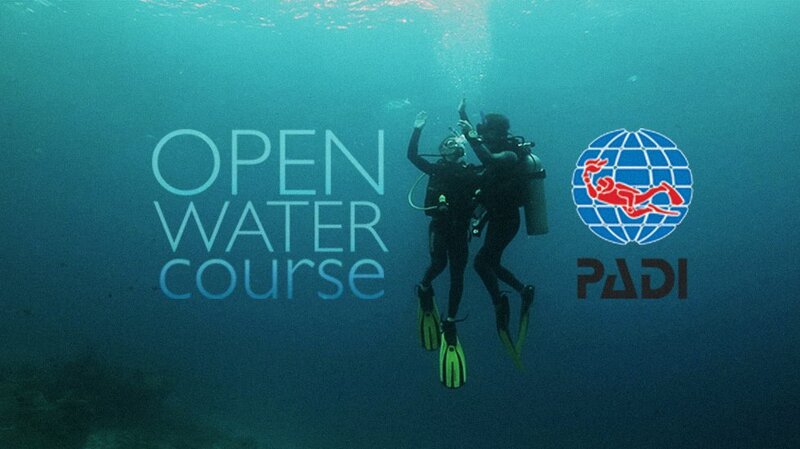 The PADI Open Water Diver certification is recognized worldwide so your diving experiences will be limitless! To enroll in a PADI Open Water Diver course or Junior Open Water Diver course, you must be 10 years old or older. No prior experience with scuba diving is required.